Once a quirky tall wagon that’s now become a full-on SUV-looking crossover, you might think the Subaru Forester has lost its sporting roots. 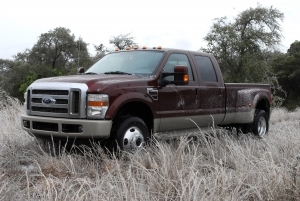 After all, it looks all grown up and ready to haul the kids to and from soccer practice. 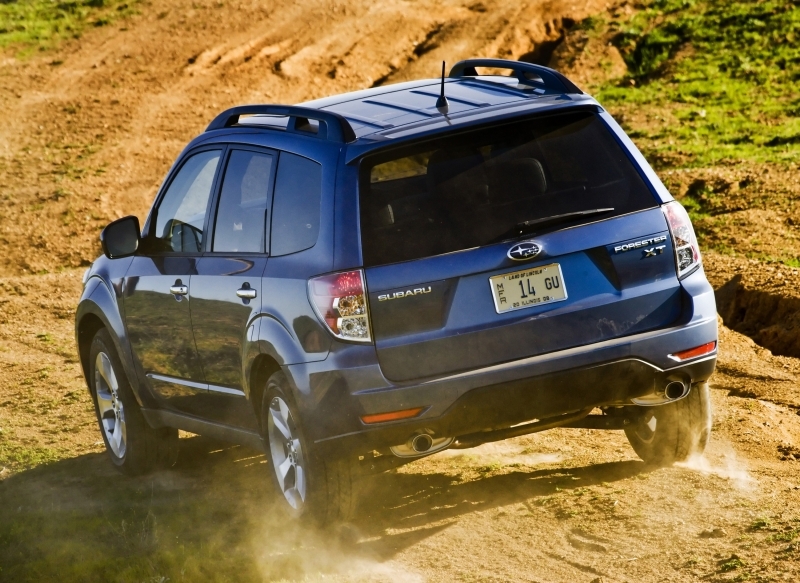 But that’s where you would be wrong – this thing still handles like the goofy wagon that sprouted the Forester moniker. Which is probably why the crew over at Motor Trend voted it their 2009 SUV of the year – it’s just that good at being an SUV, but it still manages to drive like a car. Where the base Forester 2.5X feels wanting for a bit more shove, the midrange power of the turbo engine in the XT gives the Forester plenty of off-the-line grunt and passing power, despite the lack of ratios available in the four-speed transmission. And at roughly 3,400 lbs, it’s a bit of a lightweight in the all-wheel drive crossover segment, so when you decide its time for a bit of spirited driving you won’t find the car tripping over its own feet, so to speak. But at the end of the day, it’s a Subaru, a company that built its reputation on mechanically faultless vehicles that work in just about every conceivable form of weather. Rest assured, the Forester hasn’t dropped the ball in that department, either. The Forester offers up tons of cargo space, with a maximum capacity of 63 cubic feet, and the available cargo tray makes cleanup extremely easy. Being SUV-shaped, you might assume the Forester is a bit of a dull drive, but in fact it’s quite the sleeper. Reliability is a big plus, especially given some of the other entries in the all-wheel-drive five-door market. 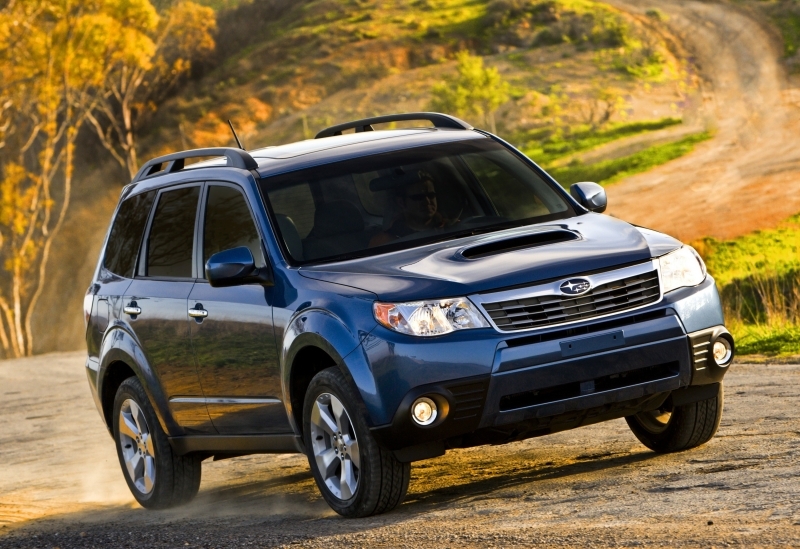 It’s 2010, and yet here we are with a four-speed automatic in the Forester. It works quite well – which is probably why Subaru hasn’t felt the need to ditch the gearbox in the first place – but with all the power the engine is putting out, you end up wishing you had another two gears to take full advantage of the powerband more of the time. Luckily the Forester hasn’t lost much of its magic over the years, and remains a shining star on the otherwise relatively dull horizon of the crossover segment. The steering is tight and precise, making the car feel smaller and more agile than it seems it has any right to be. Most certainly, the relatively low curb weight plays a part (anything under 3,800 lbs these days seems surprisingly spry), but the low-down torque of the turbocharged engine does its part as well, feeling more than ample once the turbo comes on. Unfortunately, the poor Forester only has four gears to work with. Amazingly, the pace is still brisk, but you can’t help but think it would be properly engaging if it had at least one (or preferably two) more cogs to work with. Still, the shifts are smooth, and the engine does a great job covering up the long ratios. 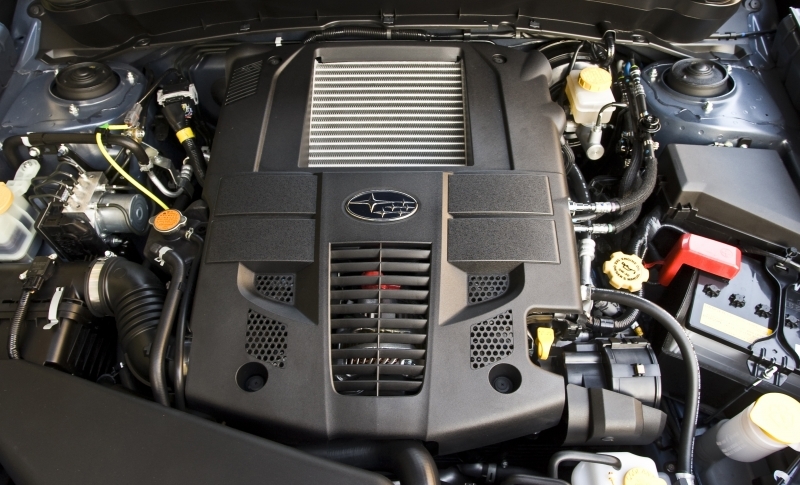 The Forester XT is powered by a 2.5-liter horizontally opposed engine that makes 224 horsepower and 226 lb-ft of torque. Power is driven to all four wheels (with a 50/50 front/rear torque split) by a four-speed automatic transmission with a manual shift option. Fulltime sequential all-wheel drive means the Forester is always prepared for adverse conditions, even if you’re not. Subaru’s accessories list is reminiscent of the endless addenda offered by Porsche, albeit here offered at a far more reasonable price. You can add anything from perimeter illumination to sport body kits and grilles to your Forester straight from the factory. 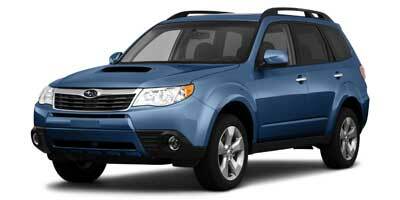 Only one option is available on the Forester XT Limited, and that’s the $1,800 navigation package. More reasonably priced than most, the nav package adds a seven-inch touchscreen, Bluetooth hands-free calling and a six-speaker audio system with an MP3 compatible CD player and auxiliary input jack. Because of its turbo engine, heavy all-wheel drive system and four-speed transmission, the Forester doesn’t get the kind of mileage you might expect from a four-cylinder. Still, the news isn’t all bad at 19 mpg city, 24 mpg highway. Inside, the Forester sports classic Subaru simplicity, not feeling ornately luxurious even in its highest spec, but at the same time not feeling like build quality and materials were compromised in favor of lowering costs. Attractive blue gauges sit behind the multifunction steering wheel and there is a unique flow to the dash created by a strip of silver trim. After several years of awkward (but also kind of cool) adolescence as a wagon with a stretched out roof, the Forester seems to have grown into its body. Sitting atop 17-inch wheels, the Limited XT prominently features an aggressive hood scoop to help feed cold air to the intercooler. At $28,495, the Forester XT is a great buy, though if you are looking to spend a little less, the Forester 2.5X starts at $20,295. Options are few and limited to mostly add-on accessories, so don’t expect to spend too much over the MSRP of your chosen trim. Competition includes the $29,550 Toyota Venza AWD V-6, $25,445 Chevrolet Equinox LT2 AWD, $27,500 Mazda CX-7 Touring and all-new $29,250 Mitsubishi Outlander GT S-AWC. If you’re looking for a crossover that’s not as boring as a 60 Minutes anchor reunion, the Forester XT should be right at the top of your list. It’s fairly economical, has more than ample power and plenty of storage space and versatility given its low price point.